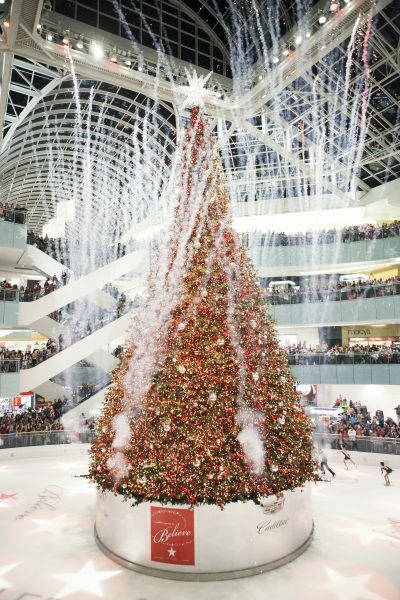 The Galleria Mall puts on a Christmas Tree lighting celebration show like no other. On Saturday, December 9 and Saturday, December 16, experience Missile Toes, the back flipping, pyrotechnic Santa performing with local children in this spectacular free event. The event starts at 6pm and concludes with the lighting of the largest indoor Christmas Tree. Get there early for a spot near the rink! For more Christmas and Holiday events around town, check out 12 Free or Cheap Places to See Christmas Lights in DFW.